May buy 2 for yourself and unlimited as gifts. Limit 1 per visit. Appointments required and subject to availability. 24 hour cancellation required. Valid only with Carolina. Tax and gratuity not included. Expires 6 months after purchase. See the terms that apply to all deals. With Option A, you get a spa pedicure with callus remover, scrub, paraffin wax, hot lotion, and a hot rock massage. 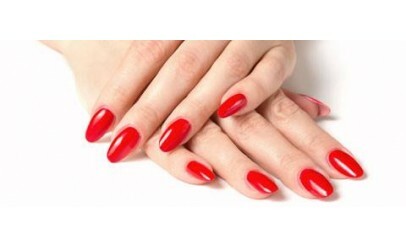 Enjoy a manicure and gel shellac with Option B. Lastly, Option C gets you a manicure and pedicure with regular nail polish on fingernails and toenails. Call Carolina to schedule today! Visage Salon Studios provides a range of services such as facials, manicures, pedicures, Brazilian Blowout, coloring and more. It's the perfect one-stop-shop for all your beauty wants and needs. Kacie has the expertise to give you the look you've always wanted.